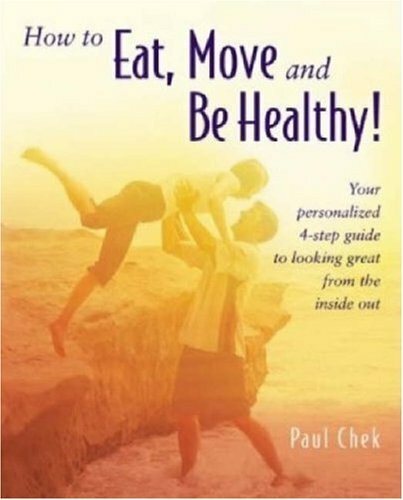 I keep stumbling on the name Paul Chek when reading fitness articles, so I decided to read his book. How to Eat, Move and Be Healthy! by Paul Chek was very nicely edited. The book is colorful with lots of helpful drawings explaining exercises and nutrition. Overall I thought this was a good book. Most of the stuff I had learned before, but the collection of information was very well done. Paul has some very entertaining videos on YouTube. Below is part one of a four part series. He has a no nonsense balanced approach to fitness. Previous Why Do I Diss Cardio?